How well do you know Mexican cuisine? This quiz will help you find out. Whether you answer these questions by yourself or print them out to distribute among the guests at your Mexican-themed party, it will give you a chance to think about some of the best known and loved Mexican food items. Don't cheat and skip to the answer section just yet—read first set of 10 questions and write down your responses. Only after you've solidified your answers, scroll down to check your answers and tally your score. Good luck! Masa, a ubiquitous ingredient in authentic Mexican cuisine, is made out of what grain? What two basic ingredients are used to make corn tortillas? Carne asada is usually made with what type of meat? This item consists of a filling (often meat, sometimes vegetables) inside a folded-in-half tortilla. It is a _____. What type of alcohol is a margarita made with? Huevos is the Spanish word for what popular food item? What holiday is pan de muerto made for? What Mexican bean dish is generally used as the beginning of any other bean dish (such as refried beans)? What is the name of the milk-based Mexican dessert that is usually covered with caramel? Masa is made from maize. Maize (or corn as it's known in the United States) was first cultivated more than 7,000 years ago in what is now Mexico, and it remains fundamental in Mexican cuisine to this day. Tortillas are made from ground maize and water. A ball of the dough is flattened out and cooked over a comal. 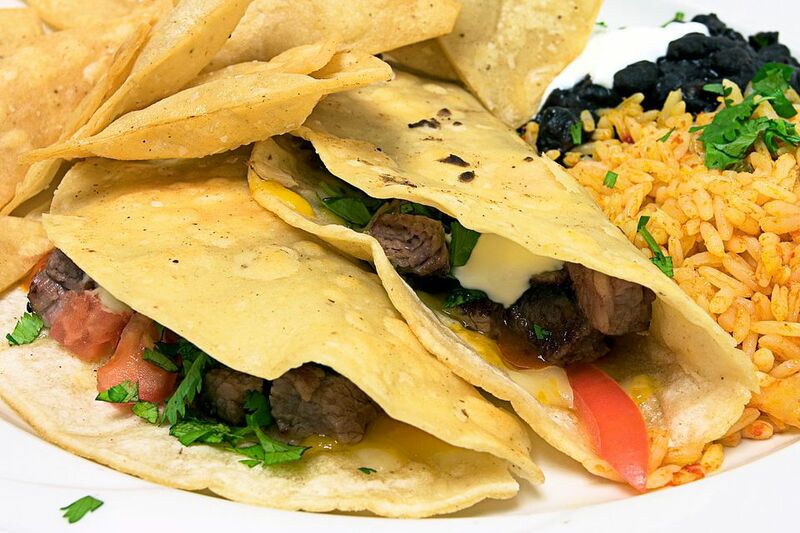 Carne asada, grilled meat, is generally made with a thin cut of beef, often flank or skirt steak. Margaritas are made with tequila. In order to bear the name tequila, the beverage must be produced in specific areas of Mexico. Huevos is the Spanish word for eggs. Ajo is the Spanish word for garlic, a key ingredient in many savory dishes from Mexico and around the world. Pan de Muerto is made for Mexican Day of the Dead, a holiday which celebrates the lives of one’s ancestors. Beans almost always start with a boiled preparation called pot beans (frijoles de la olla). Then they're eaten as-is or used to make other bean dishes such as refried beans. Flan is the popular milk-based dessert that is usually covered in caramel. This delicious dish (as did cow’s milk itself) arrived with the Spanish and is much beloved all over Latin America. Now that you've tallied your points, find your newly earned title! A delicious journey of discovery is ahead of you—keep trying new Mexican dishes to learn more. You know a little bit about Mexican cuisine and you're definitely headed in the right direction. You've mastered the basics of Mexican food knowledge and have probably learned how to prepare a Mexican dish or two. Great job!